Associated Anesthesiologists, P.C. » Tinkham, Scott A. Home / Tinkham, Scott A. / Employees / Office Staff / Tinkham, Scott A.
Scott Tinkham is a native of Sargent, Nebraska. Scott is the Administrator for Associated Anesthesiologists, P.C. and has been with the group since August, 2004. Scott earned his Bachelor of Arts degree in Business Administration from Chadron State College. Prior to joining AAPC, Scott managed the Broken Bow Clinic, P.C. in Broken Bow, Nebraska for 14 years. 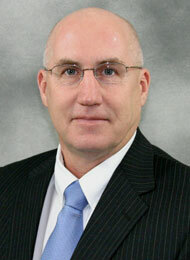 Scott is a national member of the Medical Group Management Association and the state affiliate, Nebraska MGMA. Scott is married and has two children and he has three brothers. Besides spending time with his family, he enjoys sporting events and any type of outdoor activity.